InteractCard ID Card Printer Remote Support Service. Remote support for Evolis ID card printer. 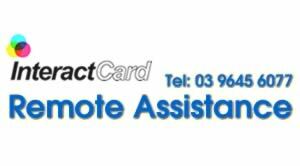 InteractCard offer premium support services with our technical specialists on hand to offer the best ID card printing & card printer support available in Australia. 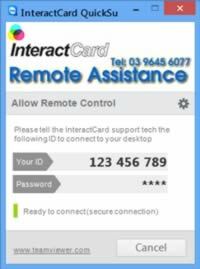 About InteractCard remote support services for ID card printing. When running remote support we ask that you ideally are logged onto your computer with an Administrator account so card printer drivers can be installed and firmware can be sent to the card printers. Secure, All TeamViewer versions use full encryption. Encryption is based on 2048bit RSA private/public key exchange and 256 Bit AES session encoding. 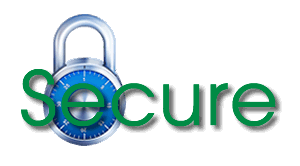 This uses the same security level as https/SSL and is considered completely safe by today's standards. The key exchange also guarantees that the data channel is completely encoded from client to client and that any routers or servers in between (including our routers) are unable to read or analyse the data stream. Security and privacy have always been a top priority during development. Is the Quick Support Module secure? If files are being copied, an additional dialogue window always opens at the customer side in the centre of the monitor and indicates which files are being transferred.